The final section of our A to Z. What we do and who we do it for. Questioning – We like asking questions. It’s how we make sure we understand your business and how it works. The questioning unearths weaknesses as well as strengths. That’s good. It means we can help do something about them. It’s certainly much better than finding weaknesses out from customers or having them exposed by the media. Recipe development – Recipe development is particularly useful for fresh produce PR. It allows us to use the product in recipes to show versatility, convenience and ease of use. We work with home economists, chefs and food writers to create the recipes for your crop or product. We have developed almost two thousand recipes over the past twelve years. That’s the rough equivalent of twenty recipe books worth. See also content development. Reporting – Reporting is how we tell clients what we’ve been up to. It takes many forms, from weekly emails and private blogs to one page summaries or printed books we can accommodate most requests. Research – We love good research, data and insights. We work with data from organisation such as Kantar Worldpanel, Dunnhumby, Neilsen and IRG. We also commission research from providers such as IPSOSMori and GfKNOP. Occasionally we use online research providers for one or two question surveys and we’re not averse to a bit of desk research or using the foodie community on social. Insight is vital to aid decision making. We will work with you to ask the right questions and interpret the results. Resources – Useful things we have found online. These will appear as downloads or links on this page. Restaurant launch PR – We have been busy in 2017. L’Osteria (Bristol and Southampton), Swoon (Bath), Eatchu, Bomboloni, Hubbox (all Bristol). And we’ve got more to come. Watch this space. Retail communications – Retailers can be a tricky bunch. They have so much going on that it’s easy for them to lose sight of you and your product. That’s where we can help. We produce communications material with you that tells them what you are investing in marketing your product to their customers. It may be a pdf sent by email, a few PowerPoint slides or a personalised book. Whichever it is, we work with you it communicates the work you have delivered. RG Abreys – Dieter works with the RG Abrey senior management team. He supports them in their trade marketing efforts. He has recently consulted for them on their marketing strategy and supported the implementation of their rebrand. Social – We do social. We are social. We can help you do social, either by doing it or by helping you to do it. Social isn’t free. Even if you never invest a penny in advertising the time commitment is significant. Social pillars – These are an element of the content planning. They set out the subject areas your product and brand will talk about and what it won’t. Social reading – If you read nothing else on social read this. Jeremy Waite’s 80 Rules of Social. Written 4 years ago (as of 2017) they are still relevant. Social advertising & promotion –. If you do want to invest in advertising, social offers very powerful targeting tools, easy ad creation and in depth analysis of the results. Combined with web analytics, especially on ecommerce websites, it can track return on investment in a way that is harder with print, broadcast or outdoor channels. It’s a big subject area so let’s chat to see whether it’s right for you. Spokesperson – We have secured spokespeople for many of our clients. These include Olympic hockey gold medallist Georgie Twigg and world champion track cyclist Becky James; cookery writers Alex Hollywood, Valentine Warner, Gizzi Erskine; TV Chefs Dean Edwards, Dale Pinnock and social phenomenon and nutrition expert Joe Wicks @thebodycoach. See also Ambassador for more information. Sponsorship – We have opened the door and worked with clients to set up and manage sponsorships. Examples include Pink Lady apples sponsorship of the Food Photography Awards, Sweet Eve and Great British Chefs, Sweet Potato Spirit Co. and The Idle Man. Strategy – What is strategy? It’s the territory you choose to compete in and how to win in the market. For a more expansive examination of strategy Google (other search providers are available) Michael Porter’s 3 generic strategies or, for a fun, occasionally expletive-laden assessment, search for Professor Mark Ritson on strategy. San Sebastian – The place Pam and Polly go (separately) with their mates on foodie tourism breaks.  Shallots – PamLloyd PR’s longest standing client. UKShallots is the account that started it all in 2005. In the time we have worked together, sales of UK grown shallots have more than doubled and the media has used the headline ‘That’s Shallot’ too many times to count. StreetSmart – Our case study is here. Sweet Potato Spirit Company – We launched Sweet Potato Spirits to the UK in 2016. It’s been busy ever since with new mixes growing the range from the initial four products to ten. Our job has been to secure media coverage of the spirits and grow the social following. Swoon – A Bristol food scene favourite in its first year. PamLloyd PR launched Bristol’s premier gelato bar in early 2016. It became an instant hit with gelato the way you would expect to enjoy it in Venice, Bologna or Naples. There is much debate about which flavour is best. Make up your own mind (clue – it’s the pistachio, obviously). Trade marketing – Promoting your business product or service to businesses (B2B). We have plenty of experience marketing B2B for food businesses. B2B presents different challenges to marketing to consumers. For a strong and coherent analysis of B2B marketing and why it is special pop over to (come back when you’re done) B2B International. Translation – We don’t do translation but we know people who do (Didn’t pay enough attention in French lessons). They translated all the L’Osteria material for us as well as websites and video copy for a fresh produce client. Three Choirs – One of our hospitality clients, we represent Three Choirs Vineyards across two sites, Gloucestershire and Hampshire. The former is the Vineyard, winery and offers a first class restaurant and rooms. The latter is a wedding venue in a beautiful setting. Our job is to make sure that the media and their readers know about them. We promote both using PR and social to slightly different target media. Trewithen – A recent addition to the PamLloyd PR family of clients. Trewithen and its network of 25 farming partners makes delicious cream, including clotted of course, butter, yoghurt and tasty milk. We will be telling their great story on social and to the media so that people outside Cornwall can enjoy the fruits of their labours. User Generated Content – It is what it says. Content created and shared by users on behalf of your product or service. It can have a good side and trickier one. The good side is when it means that people enjoy your brand enough to make the effort to create stuff for you. The downside is when they use it to poke fun at the brand. Just ask Walkers crisps and Gary Lineker. Video – Video can be an engaging and persuasive way to tell and share your story. The costs of video have fallen dramatically over the past 10 years as the quality it is possible to achieve with lower cost technology (Smart phone and digital cameras) has increased. The end use of video also seems to have changed to be more disposable, especially on social. According to the Cisco Visual Networking Index white paper 2016 – 2021, video traffic will be 82% of all consumer internet traffic by 2021. By the start of the next decade, live video will account for 13% of internet video traffic. For all the stats the Cisco white paper is here: Cisco Visual Networking Index. We produce video at different levels both in house and with our partners. You can see some of our material on our YouTube channel PamLloydvideo. Vimeo – We have legacy video content available at PamLloyd PR on Vimeo. We use YouTube more often. Victoria sponge – We like this recipe we created for BerryWorld and we also as BakeOff devotees we’d have to acknowledge Bezza’s is the benchmark Victoria Sponge. Website – Designing and building websites has become easier over the years. Once the preserve of very specialist folk, it is now possible to do it yourself using templates from providers like WordPress and Drupal. There are still important considerations regarding hosting and security that need the input from an expert but the basic creation and keeping content up to date can now be done by most people. We use an number of different partners to create websites as well as creating them in house (we use WordPress). If you need a new site we can help you with that. Word of mouth – Possibly one of the most powerful marketing tools Word of Mouth (WOM) was estimated to account for between 20 and 50% of all purchasing decisions by McKinsey in 2010. A 2016 Neilsen Harris Poll survey (USA) suggests that 80% of consumers seek recommendations when making purchases. We’re not saying people do this before buying a brand of own label tinned tomatoes, but recommendations definitely have a role to play in branded service and product purchases and especially in restaurant recommendations. Wasabi – Like wasabi? Love it fresh! We launched fresh British grown wasabi to UK hospitality industry and consumers in 2013. It’s rare to get a genuine, differentiated first and it was fun to tell the story with media and shoppers. The crop has gone from strength to strength and it is rumoured that the Japanese are interested in importing it. X-Axis – A flagrant attempt to leave no letter blank. The X axis is in the charts we create from your data. Told you it was flagrant. YouTube – Our YouTube channel is PamLloydvideo. Zabaglione or Zetland Road – You choose. Zabaglione recipe from delicious. magazine is here. Zetland Road is just down the road from us. It has a tidy choice of restaurants in a short run from family Italian La Campagnuola which has been in place for over 20 years, Green’s modern British bistro, Casa Mexicana for beers and nachos and Harikrishnan’s Kitchen for properly tasty food from Kerala.